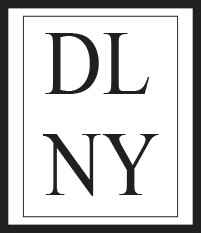 DLNY Video Blog Series will answer any questions you have on the bespoke world, or on men’s fashion in general. As the seasons change, your wardrobe will too, (unless you so happen to live in Miami or Los Angeles). We’re finally, and I mean finally nearing the seasons where we don’t have to layer heavy fabrics and borderline ski gear to keep ourselves warm. It make sense to most men that we swap out your heavier suits for lighter suits in spring, but most men don’t know that it’s also time to change their ties as well. People often ask us about the difference between sport coat and a suit jacket, with the assumption that there is a grand and unambiguous answer. The truth is, there is no significant difference between the two. The main difference is the most obvious one, a suit jacket comes with a matching pant. In terms of cut, some men will often be more adventurous with a tighter fitting, high armholed suit jackets than sport coats. But in terms of material, sport jackets can and are frequently made using a cloth with much more decoration and design within the weave.